Portable devices like MP3 players, PMPs, cell phones, Internet tablets, etc., typically have rechargeable batteries. The problem with an electrochemical cell is that they degrade over time with every charge/discharge cycle — they eventually need to be replaced. It is, therefore, a good idea to try and get the best out of the battery installed in your portable. Optimizing your portable's settings can go some way to achieving a longer lasting battery, but there are other things you can tweak too. Heat is a well-known battery killer. If you leave your battery-powered device somewhere that gets hot, then you'll find that it quickly loses its power. If you like listening to your MP3 player in the car for example, then be sure to put it somewhere cool (like in the trunk) when not in use. Having your screen's brightness set at maximum will significantly drain your battery. Even the default settings that typically come with portables are usually too bright, and so you can reduce this setting as much as possible to conserve power. If your device has a screen saver option, then try to reduce the time that elapses before the screen is blanked — this will save even more power. This feature is built into most portables and helps to stop the accidental pressing of controls while in a pocket or bag. It will ensure that unnecessary power isn't used while your device is not in use — like the screen being activated by accident which is a significant drain on your the battery. Do you skip tracks every 30 seconds? Battery power is consumed more by skipping tracks than just listening to your songs. To reduce the number of times, you skip tracks; you may want to consider creating customized playlists that are great to use for organizing your music in many different ways. Another factor that can influence the playback time of your battery between charges is the type of earbuds/headphones you use. Low-quality earphones for example typically have a lower gain compared to high-quality ones, and so you'll need to increase the volume more on your portable to hear songs. This uses more battery power and thus reduces its lifespan between charges. This is often an overlooked way of improving the efficiency of your MP3 player's use of power. Check with the manufacturer of your portable to see if there is a new firmware update. If so, read the release notes to see if there has been any power management improvements or battery optimization tweaks. Most (if not all) portables capable of audio and video playback will have a memory cache that is designed to optimize processor usage and data throughput. 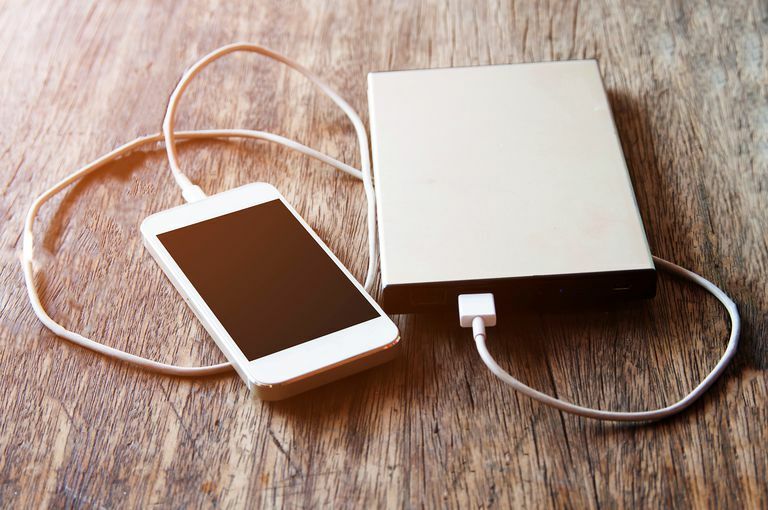 Using a compressed audio format such as MP3, AAC, WMA, etc., will help to conserve battery power as the memory cache won't have to be refreshed with new data as frequently as when using an uncompressed format.